I enjoyed my time learning how to drive with James while I was at university and I can’t thank him enough for making me feel confident in my driving and providing me with skills that make me a safe driver. He is also calm, bubbly and easy to have a conversation with. I would highly recommend James to anyone, especially university students looking for an instructor while studying and if you’re nervous about driving as he is very good at making you feel safe and comfortable. I passed my test first time with only two minor faults. I would recommend James as a driving instructor to anybody. He is very patient and puts you at ease. I was very nervous to start with but James helped to build my confidence up. He explains the lessons well and even if I made a mistake he explained what I did wrong and what I needed to do to correct it. The lessons are interesting and as you progress from the basic skills, James asks you what you feel you need to work on. This helps you build more confidence in the areas you feel you need to improve on. James also has a great sense of humour and always makes the lessons enjoyable. Thank you James. The semi-intensive course is amazing and I would highly recommend it with James. 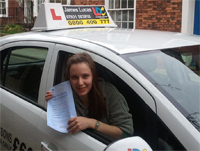 I couldn't have passed my test first time if it hadn't been for James my driving instructor. He is calm and encouraging but is also firm when needed. I found the LDC workbook and dvd really helpful to reinforce what I had learnt in my lessons. 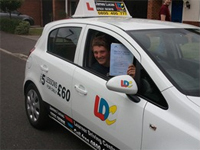 James definitely knows how to build confidence in people with their driving and to feel safe on the road with others. Thank you James. :) Thank you Sophie for your comments. It was a pleasure to help you achieve your first time pass in only nine days, you used the materials that came with the course well and always tried your best with a lot of intelligent questions. I wish you many years of safe and enjoyable driving :) James. James is the kind of person who you just can't help but like. His sense of humour makes learning to drive enjoyable, yet he can still be firm, understanding and supportive. I also found the LDC system to be extremely helpful as it gave me a clear understanding of which aspects of driving I could do, and which parts needed more work. It's structured approach simplified something that originally seemed daunting into steps that could be worked through with ease. I couldn't be happier that I learnt to drive with James and would recommend him to anyone looking for a brilliant instructor. Hi James, This is Mike (ex-student). Just messaging to let you know that I'm still thankful for the effort you put into teaching me to drive! You are a fantastic instructor. You didn't let me get away with anything, you took my driving seriously and you were equally firm and encouraging. I'm still driving, I haven't had any bumps, I still have 0 points on my licence and I'm feeling more confident every time I get in my car, because of you. Thanks James! Before starting with James I had been learning to drive for two years. 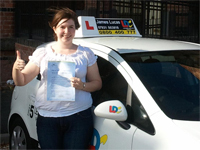 I was very nervous and had previous instructors that were not as patient and understanding. I got to a point where I thought driving was not for me. Being with James for just a few months has made me a confident and safe driver who actually enjoys driving. I highly recommend him if to wanna ditch the nerves and get passed. Thank again James! 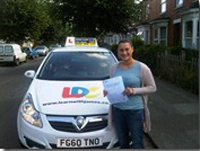 I passed my test - first time - after doing a semi-intensive course (over two weeks) with LDC. James was my instructor and despite my initial nerves, he put me at ease right away with his natural friendliness and sense of humour. 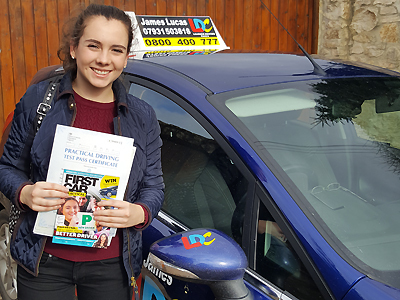 The first lesson was a pleasant surprise to me, probably due to the LDC workbook and DVD, there was none of the usual talking for half an hour by the roadside that I had come to expect from driving lessons with other schools. Though there were explanations of what we were going to cover, this was done quickly and James explained in more depth as I did them so I could understand how the theory of what he said applied to the practical side straight away. I really like the LDC system because it gives you goals, clearly sets out the areas where you may be struggling/still need prompting (for me it was checking the left mirror a lot of the time) and gave you an over all view of how much more you needed to learn before you could be considered ready to take your test. James went through the workbook at the end of lessons and we marked off together where we thought I was at. James was excellent at confidence building and had a lot of patience. He did not get annoyed if there was something you didn't understand and always took the time to explain anything you had handled in the wrong way or that he felt you could do better. I frequently told him I was crap and he, just as frequently, told me I wasn't - and eventually I believed him. 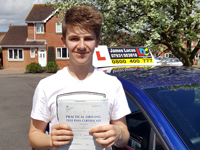 To pass your test, you need a level of confidence in your abilities that James provides, as well as the driving skills that he teaches to a high standard. This helps you feel happy about going out on your own afterwards. The good thing about James is that he will not put you forward for your test unless he is 95%+ sure that you will pass it, which means your mind is at ease regarding the test fee. He will push you and he will expect you to make the effort during your lessons but as he gives you 110%, I was glad to do so. 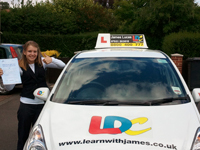 The winning combination of James as my instructor and the LDC learning materials have made me a confident, safe driver and I would really recommend this system (and James) above any other. He is excellent and it was a pleasure to learn with him - the only downside is that once you pass, you don't get to spend two hours a day enjoying his company! Thank you James for making this such an enjoyable, informative and worthwhile journey. I will look back fondly on my learning experience and suggest you to anyone who is learning in the future. James is a great teacher. I have taken lessons with other instructors and none were a patch on James. His patient and calm manner made learning enjoyable. He managed to iron out all previous issues I had picked up in the past. 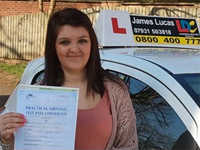 If you are thinking about learning to drive then I strongly recommend that you contact James. I believe his teaching enabled me to pass my test and made a better driver in the process. Thanks again for everything. James really is a wonderful driving instructor, and has the patients of a saint! I say this as when I started to learn to drive I was very nervous up to the point when I saw something (even if there was absolutely no chance of it crashing into the car) I stopped, James helped not only teach me how to drive but also helped build up my very confidence which I had very little of, which I am so grateful for. Towards the end of my training I really noticed the change in my confidence and my ability, as driving really is a multi task on a level all on its own. I would seriously recommend him to anyone who wants to learn to drive as he didn't just get me to pass my test but also my brother, who is very different and always seemed more confident than I felt. I will miss the lessons and they went around my personal life, like starting a lesson from where I work or home etc., He is very friendly, never shouts but will let you know what you did wrong, in a friendly way, then work out why it happened then go over what you should have done while doing it again, he is a wonderful and kind teacher. I've really enjoyed learning to drive with James; in fact the worst bit about passing my test is that I won't be able to carry on doing it anymore! He is always patient and reassuring and made me feel comfortable during lessons - I felt happy to ask him about anything I was having trouble with and he always knew the way to correct it. The LDC workbook was also very helpful as it gave a structure to my training and allowed me to monitor my progress. I could never have imagined passing my test a few months ago when I was nervously crawling my way through Newark but James has helped it happen! Thanks so much James! 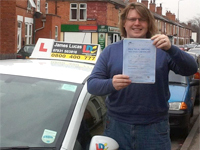 I am extremely happy with my experience of having James as an instructor. He was friendly, patient and had a good sense of humour. 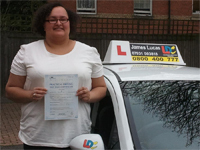 I always felt safe on driving lessons and felt that I could discuss anything in order to improve my driving safety and experience. James was always open to ideas and thoughts and made sure that he gave time for me to ask any questions. I never had the impression that I was being rushed into learning in time for the test and was able to relax into taking it at my own pace. 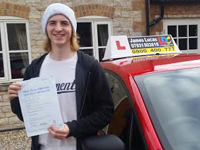 James' positive and encouraging attitude certainly helped me to pass my test first time and I will never forget the friendship and advice he gave me. I really enjoyed driving with James - he helped me to smooth out all the rough edges left from working with my previous instructor. Thanks to him, I passed first time and, even more importantly, I am a confident and safe driver now that I'm out on my own! Thanks James! James is an excellent driving instructor. Full of enthusiasm and motivation to see his student strive for success. This was accompanied with the excellent LDC Workbook and DVD which laid out the lesson plans before you got in the car. Saw a friendship build and passed my driving test in under a week with only 5 minor faults. A top man and even better driving instructor. Thanks James. I was really worried about learning to drive but James put me at ease from day 1. He is really patient, even with my endless and repetitive questions, and always explained everything carefully. You get a LDC workbook and DVD with the course which is really helpful as you can see what you will be doing beforehand and can have any questions ready before the lesson even begins. I would recommend the semi-intensive course to anyone as it is a set amount of hours but with a flexible time frame. Thanks James you're a star. I would recommend James as a driving instructor to anybody. He is extremely patient and very friendly which I personally feel is essential when learning how to drive. James is thorough in his teaching, ensuring every aspect is covered and if there's something you don't understand first time around, he will try a different way of explaining it to make sure you feel confident in what you are doing. The quality of his lessons are consistent and from my experience he has been very flexible with regards to booking lessons around my schedule. 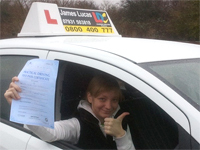 I cannot recommend James enough and will even be continuing my learning with him to complete the pass plus course. 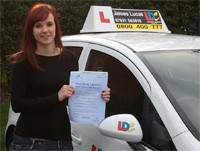 I started with James's Driving School after a long stint with another instructor. So I was very nervous about doing it all over again but was very pleased by the standards and professionalism of my instructor. Patient and relaxed he guided me through the difficult areas and made me feel confident to take the test. I was over the moon to pass the test first time with only 3 minor fault's and its all down to the training I received. Thank you James for getting me on the road. 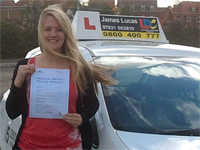 I would like to thank you again for the amazing driving lessons you gave me, that led me into passing my exam! All the lessons we had were very informative, professional and everything was surrounded in a friendly environment which for me was a key to my learning. I loved the fact that we didn't have to stop at the side of the road for most of the lesson as some other instructor do. Thank you for always being honest and wish you all the best in your fantastic business. 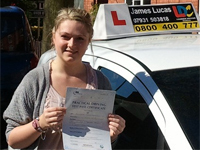 I will most definitely recommend you to any one who is about to get himself on the road! James makes sure his lessons are taught in a calm and patient manner, he corrects any faults with a good explanation and points out the dangers of doing it wrong. 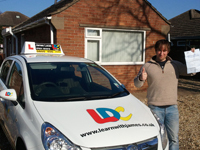 I am pleased to say that this has helped my pass the test at the first attempt Cheers James.